I rarely remember my dreams on waking, which I regret because when they do make the crossing from my unconscious to my conscious mind, they often appear like gifts: cryptic messages from the soul expressed in images and sometimes in words. Yesterday morning (having gone to bed late the night before) waking was a slow, dream-filled process. For an hour or more I drifted in and out of sleep, walking along the shoreline that both divides and connects night and day. The substance of my dreams sank back into my unconscious, leaving the faint memory of Chris speaking and a single phrase echoing in my mind. The words seemed to have vital significance and even as I dreamt, I searched for a way to hold on to them. 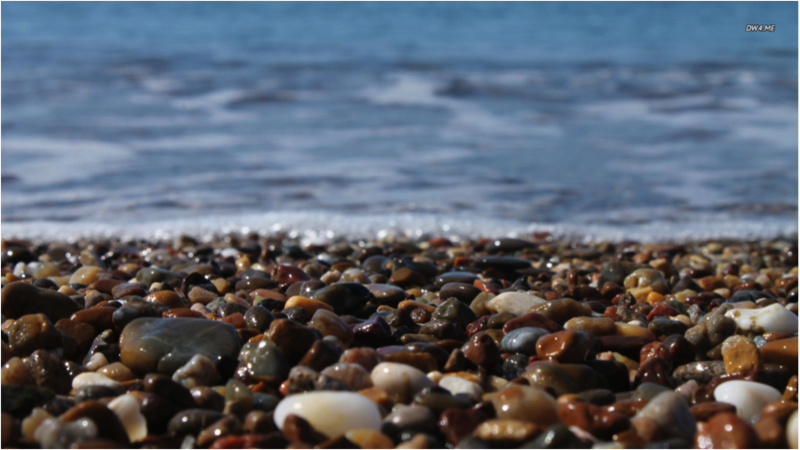 What came to me within the dream was the image of taking home a handful of pebbles from the beach, each one chosen for its glistening beauty and vibrant colour, each one representing a single word. So often, the allure of such stones evaporates along with the film of sea water that gives them their lustre. Very occasionally however, we find treasures that survive the journey undimmed. It says somewhere in the Talmud that a dream that is not interpreted is like an unread letter, but interpreting a dream seems to me to be merely an attempt by the rational mind to impose its discipline upon the unruly soul. I am content that the meaning will be revealed (or not) by what happens if I pay attention to the message. For now, I’m off with Ted to walk on Charmouth Beach. I also think you could say “the heart of joy is acceptance”. Perhaps that was what the words were supposed to mean however they came to me. I always try and stay with the feelings of my dreams. I also dreamed of Chris about 2 weeks ago. I’m looking at her she is smiling and she’s really happy. She is about 15 kilos less in her weight and she says to me. ” I can now be how i really want to be” The feeling was of freedom and joy. This is one of my dreams i know is not a projection. I write them down and look at them months later.